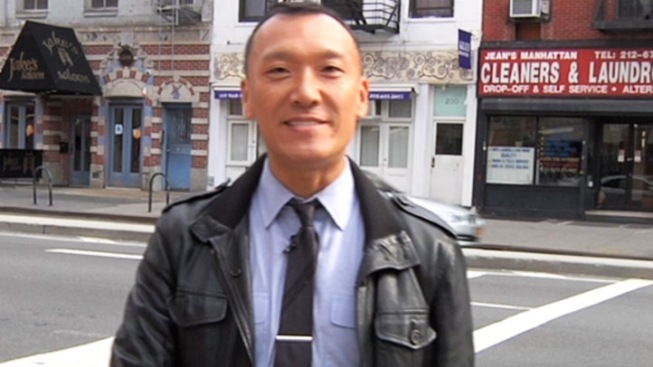 Joe Zee, the creative director of Elle, is one of New York’s busiest fashion insiders. With little time to waste, Joe has shared his go-to shopping destinations for fashion, design and of course coffee. Check them out below, and see more of Joe Zee as the host of All On The Line, premiering Nov. 25 on the Sundance Channel. A one-stop shop for men's and women's fashion, Jeffrey's has made Joe's list of most iconic shopping destinations in New York. That's no surprise, given its amiable atmosphere and its vast array of designs from big-name labels and up-and-coming designers alike. Looking to upgrade your apartment or office with modern furniture? Check out this huge collection of lamps, clocks and chairs. Joe's favorite pieces, which he bought for both his home in New York and his house in the Hamptons, are a credenza and matching armoire—perfect for hiding all those clothes you've left on the floor before your guests arrive. Don't waste your time trying to find a good cup of coffee elsewhere. This coffee house, known for its meticulous attention to concocting a perfect cup, features a brew bar where every cup of drip coffee is individually brewed.